It’s been a long time in the making but now the premier has taken place the producers of the much anticipated: Bet Raise Fold, can now breathe a sigh of relieve. Showing their finished product at a special screening at the WSOP last week, the film’s creators, Jay Rosenkrantz and Ryan Firpo, have recently discussed the moment their efforts were seen by the poker world. In addition to talking about the recent showing of Bet Raise Fold, Jay talks about their Kickstarter backing and how they have reached their $35,000 target. Having raised enough funds through a series of investors, the creative duo are now planning a series of unlockable content in the form of deleted scenes, sound tracks and digital wallpaper packages. The movie will finally be put on general release on June 30 and will initially be available for download through betraisefoldmovie.com. 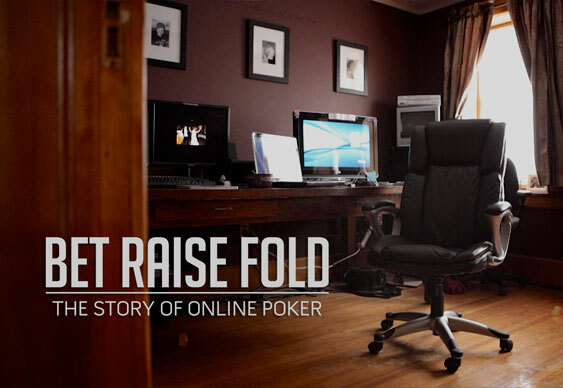 For more behind the scenes information on Bet Raise Fold, be sure to read read producer Jay Rosenkrantz's in-depth feature on the making of the film.